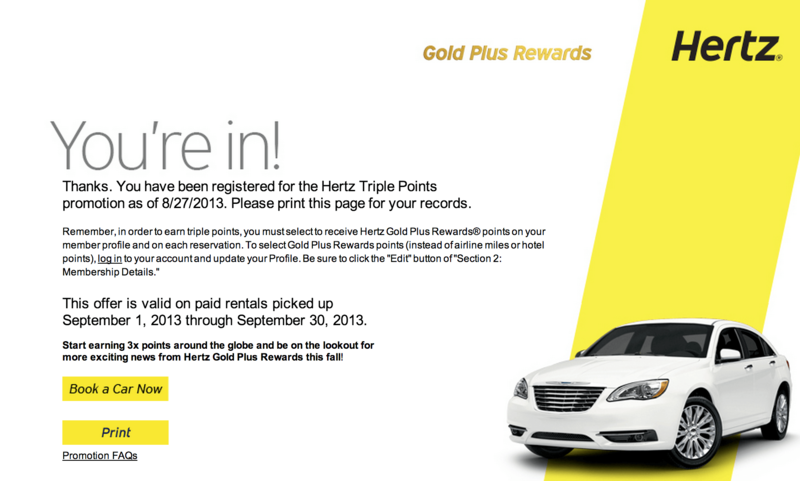 Earn 3x the Hertz Gold Plus Rewards Points for all rentals during September 2013. Normal rate is 1 point = $1 spend, now $1 spend = 3 points. 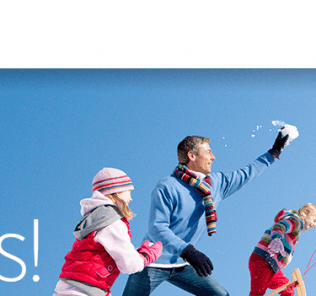 As long as you start rental on/before September 30 you can get bonus points. Base points ($1/point) are tripled. The Hertz Five Star 10% bonus and Hertz President’s Circle 25% bonus are also tripled. Hertz is notorious for not posting bonus points! Make a note to check your account after a few days and make sure they’ve given them to you. 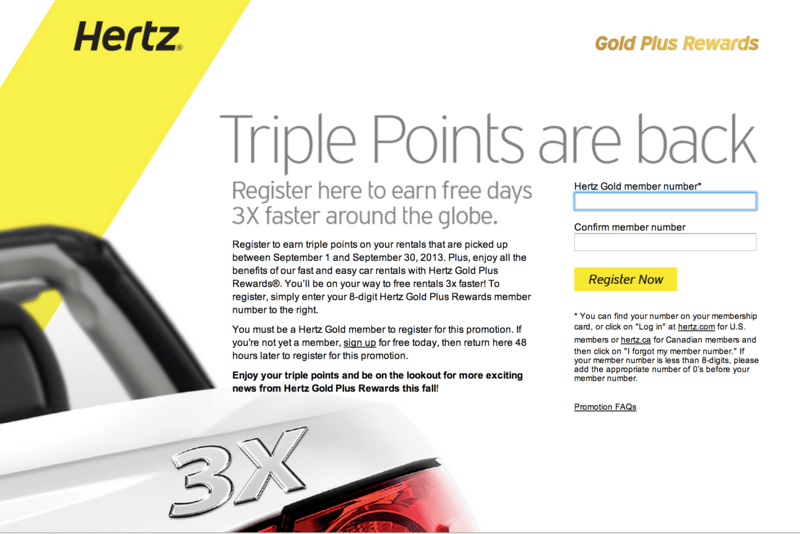 BOTTOM LINE: Nice little promo to rack up some Hertz points. Check out a post here on the value of Hertz points (My First Hertz Award Redemption).